Meet the new Lizard Lab intern! The Lizard Lab is lucky to have a high school student working with us this summer! 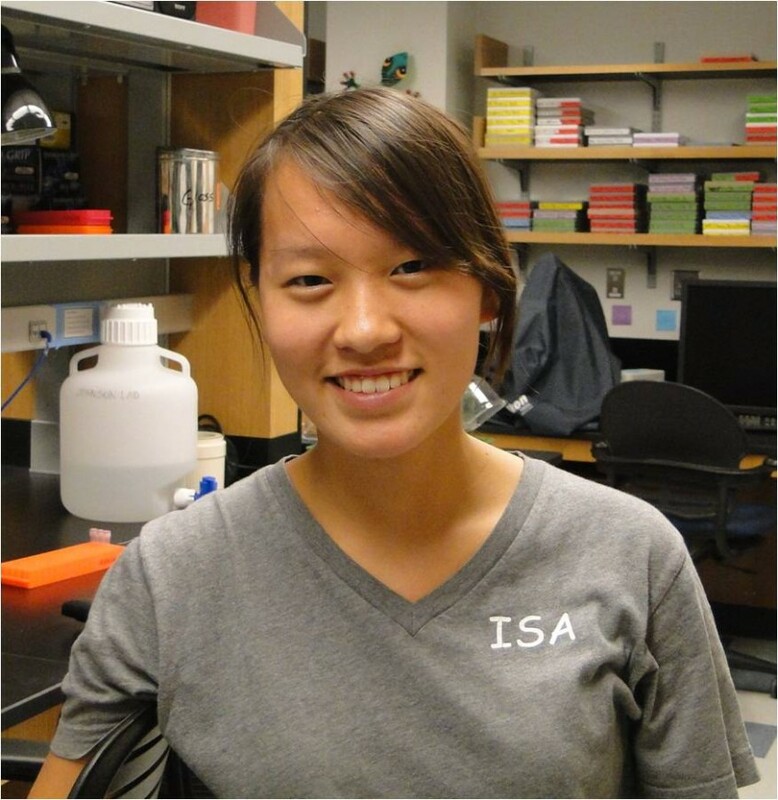 Sian Rips is a junior at the International School of the Americas in San Antonio, and she’s become involved in several projects in the lab in the past week. Sian has worked most closely with our new lab technician, Brittney, to study the behavior of two species of Texas lizards – green anoles, and banded geckos. Keep reading to see Sian’s own description of her work so far! “I have to start off by saying, if I wasn’t an intern in the Trinity lab, I would probably never get to do all the things that I have this past week. Working with anole lizards (Anolis carolinensis), I have learned many things about them – including how to catch them, which is probably the hardest thing. Other things I’ve learned include the way they form dark patches near their eyes when they are angry, change color from brown to green, do pushups, display their dewlaps (this behavior is usually performed only by males), and more. It is surprising how intricate these creatures (that are just from my backyard!) can be. Doing night tests on the banded geckos (Coleonyx brevis) was also surprising. Between just four geckos, each had different traits; some energetic, and some not so much. We observed them with each other, timed them going over or through tubes, and noted their every move.